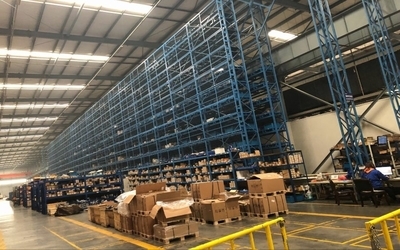 Hefei SJ Hydraulic Co.,Ltd is a famous supplier on hydraulic pump , valves, orbital motor and steering in China and worldwide ， SJ Hydraulic always keep the faith of credibility and customer firstly, also try to supply excellent products,reasonable price and best service for worldwide customers . 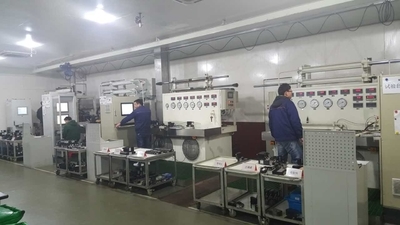 We have engineer, quality inspection people and seller who have rich experience on hydraulic pump and parts, they can give you best service on technical choice, after-sales as they are familiar with market and understand customers' requirement very much. The hydraulic products we supply are manufactured by CNC machine and high precision machine etc. All of our products must be inspected by Trilinear coordinates measuring instrument and Roundness, all of our products can be interchanged with Rexroth, Atos, Vickers, Yuken, Eaton, Sauer Danfoss etc. Completely, They are used for Construction machinery, Metallurgy, Vessel，Injection machine, Hydraulic machine, Mine and so on. SJ Hydraulic would like to have a honest cooperation and good development with you. Establishe in 2003 year up to now. Since born into the human social civilization and advancement of science, with its excellent comprehensive performance many fields widely used to national economy, plays an important role for social progress and economic development. The development history of hydraulic industry has witnessed the development of hydraulic power and society, economy and people's life. Hefei SJ Hydraulic Co., Ltd., It is a well-known hydraulic supplier in China, and it is a professional company which has developed and produced high quality hydraulic valves, hydraulic motors and steering units according to international first-class standards.Three main types of high pressure conventional valves and proportional valves are mainly produced in size 6, 10, 16, 25 and 32. Our hydraulic valves are widely used in metallurgy, casting, forging and pressing, engineering, building materials, forestry, rubber and plastic, chemical, petroleum machinery, Marine engineering, numerical control machine and other fields. We sincerely look forward to working with you to provide you with high quality products and satisfactory service. There are about 300 employs in our factory, of whom 55 are engineers.